Contacts are synced from the accounts you entered in settings. Supported so far are Google, Facebook and XMPP. No CardDAV yet. Disadvantage I encountered so far is that all of them are synced. What is wrong with that? Well, I added one of my jabber accounts… So now I have in people application several bots and transports. I also have all the people that I for whatever reason added on G+. In the end, my contact list is almost total mess. And to make it harder, there are no groups and UI is done in a way that you have to pick a letter from the first name (you cannot select to sort them according to the surname) and it will show you contacts only afterwards. What saves this application from being unusable is that you can search for people and favorite them. Then you will have them on top as small pictures. Application also shows people you recently communicated with, which is actually really useful and it is how I use contact lists everywhere. Even on desktop, I don’t have a fixed contact list, I just have mail addresses of people I communicated with in last month and pick recipients from that. It’s good enough approximation. As for Jolla, I’m currently stuck with this workflow. Not that I mind much, but it’s a shame that application managing your contacts is quite unfriendly at the first sight. 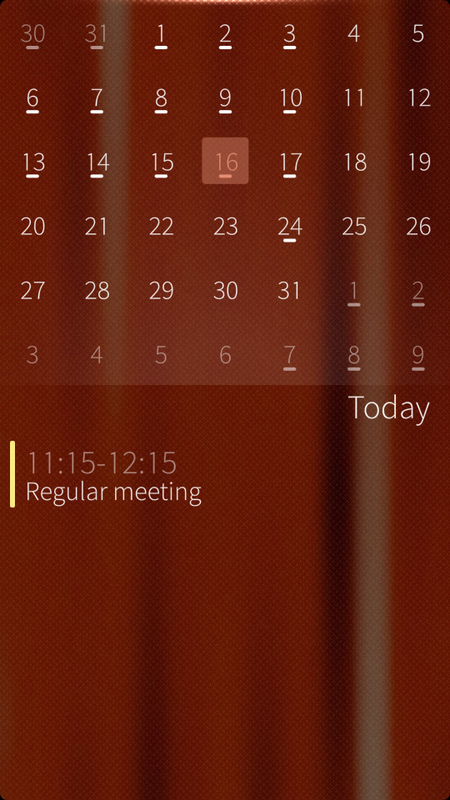 Calendar application is pretty simple with only month view and showing events for selected day. 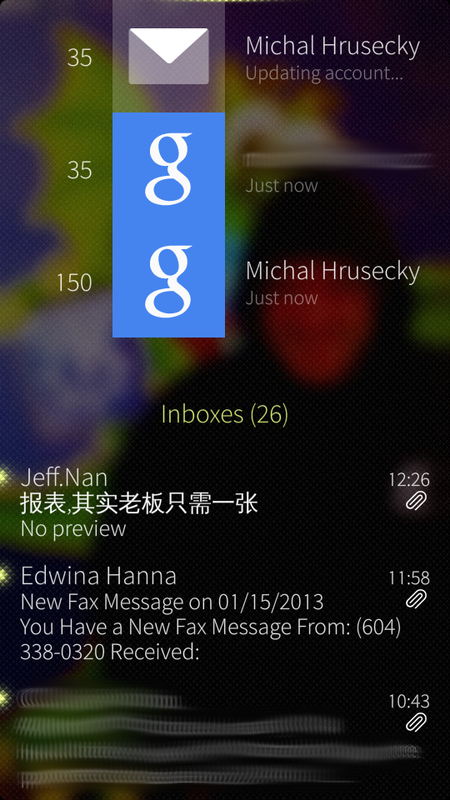 Synchronization is supported only for Google calendar so far and only one way. You can create your events online and they will get synced to your phone, but edits in your phone will not get back. At least till next OS update. Support for syncing with own CalDAV is not implemented yet. 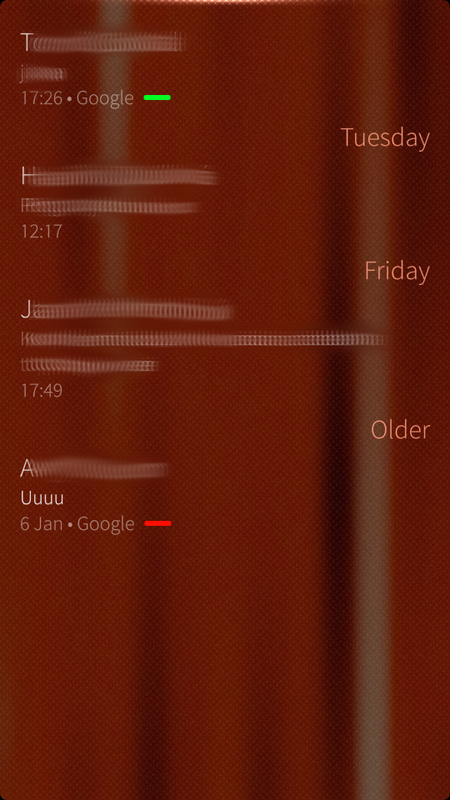 The important part about messages is that on Jolla your messages get mixed up together, similarly as contacts does (but this time it’s not that bad). You have one messaging application and that one stores both SMS and IM messages. It tells you which one is which, but tries not to make a distinction between them so obvious. As for IM, it’s deeply integrated. 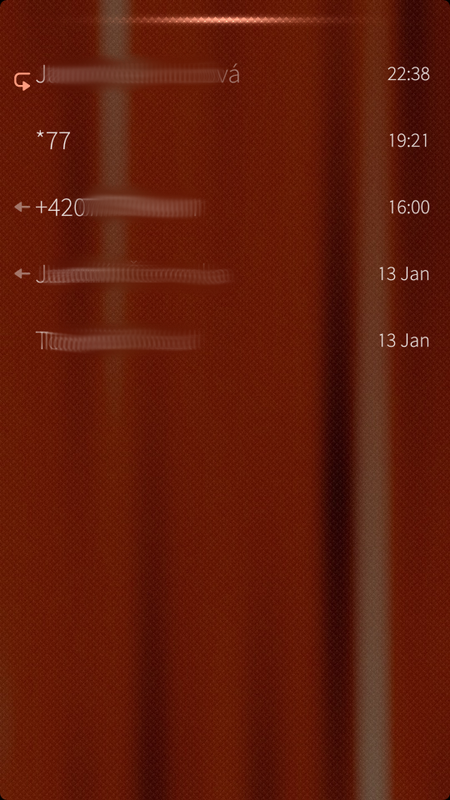 In notifications, you set your global presence and from that moment, you’ll start getting messages via XMPP. As for starting conversation, you would have to go to the people app and find your bot you want to message according to his name (I have bots in separate group on jabber, but as people application doesn’t handle groups…). In general, I think, messaging application is quite usable, except for the part when you have to interact with people application. Sometimes I would appreciate classic IM client with roster and groups and not mixing my jabber with my people by default (nice to have when I choose to, but sometimes I prefer to have them separated). 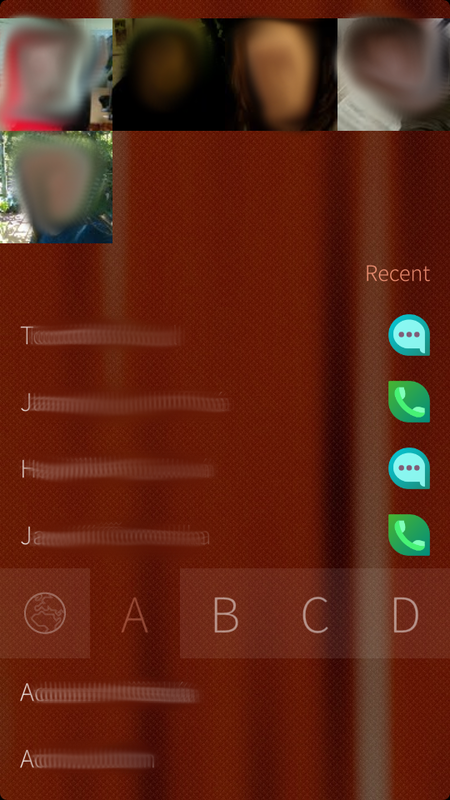 Overall, Jolla phone capabilities are good enough for me, but might not be the case for you. Especially if you still use your phone mainly for making calls and have quite some people. The weakest point I see is the people application. But as things are getting fixed and people are developing like crazy, I hope we will get fixes for issues that I mentioned here soon or somebody will implement alternative people application 🙂 This time, it doesn’t sound so positive overall, but I still like my phone and as making calls is not a use case I’m most concerned about in my cell phone, I have no problem waiting for Jolla to polish this part.